On Tuesday, May 9, 1893, seven-year-old Emma Werner was the victim of a brutal and lethal attack in Chicago, Illinois. 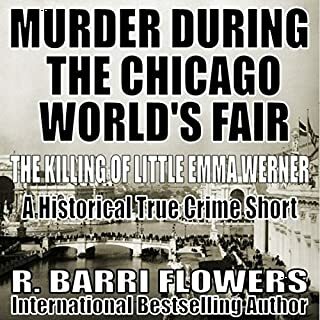 The dreadful murder came at the start of the city's much ballyhooed 1893 World's Columbian Exposition, also known as the Chicago World's Fair. It coincided with the heinous crimes of ruthless serial killer Herman Webster Mudgett, who went by the name H.H. Holmes and built a hotel called the World's Fair Hotel to house and profit from the Fair visitors needing a place to stay. Brian Stidham fell in love with Tucson, Arizona, the minute he came to town. A young and talented eye surgeon, he accepted a job with an established eye surgeon to take over his pediatric patients. Brad Schwartz, the doctor who hired Brian, was ambitious and possessed surgical skills few others had. But he was a troubled man. Within a year of Stidham’s arrival in Tucson, the medical relationship would be severed by Schwartz’s personal troubles. 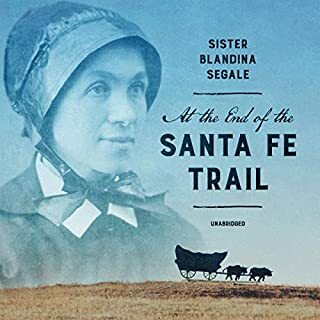 At the End of the Santa Fe Trail is a book by Sister Blandina Segale about her fascinating experiences as a young Catholic nun in the southwestern United States from 1872 to 1892. At a time when lawlessness and brutality were the norm, Sister Blandina displayed courage, tough-mindedness, and a deep religious faith in service to the less fortunate. Sister Blandina's well-written account tells of working with immigrants, Hispanics, and Native Americans who were losing their land to swindlers. In 1967, during the time of peace, free love, and hitchhiking, 19-year-old Mary Terese Fleszar was last seen walking home to her apartment in Ypsilanti, Michigan. One month later, her naked body stabbed over 30 times and missing both feet and a forearm was discovered on an abandoned farm. A year later, the body of 20-year-old Joan Schell was found, similarly violated. Over the next two years, five more bodies of female students were uncovered around the area. On December 15, 1927, 12-year-old Marion Parker, daughter of a prominent banker was brazenly abducted from her junior high school in Los Angeles, California, in a bizarre ransom and revenge scheme. Two days later, the girl's dismembered remains were left behind by a brutal killer, destroying a family and unnerving the entire city. This caused pandemonium as the perpetrator managed to evade immediate capture, leading to a manhunt by authorities unlike any in recent memory. When James Dallas Egbert III disappeared from the Michigan State University campus in 1979, he was no ordinary college dropout. Egbert was a computer genius at sixteen, a boy with an I.Q. of 180-plus and an extravagant imagination. He was a fanatic Dungeons & Dragons player before the game was widely known, and he and his friends played a live version in a weird labyrinth of tunnels and rooms beneath the university. These secret passages even ran within the walls of the buildings themselves. Eric Brach's new book Double Lives: True Tales of the Criminals Next Door offers terrifying true stories about the criminals hidden among us and the banality of evil and crime, elevated by its frank discussion of the nation-wide criminal scourge of the moment: opioid addiction. Double Lives chronicles the very monsters who walk unnoticed among us - even serial killers like Jeffrey Dahmer, Ted Bundy, or John Wayne Gacy. They are neighbors and students, professionals and friends living out criminal double lives. > Obeying Evil presents the shocking true story of Ronald Gene Simmons and the most disturbing family killing spree in the United States. Over the course of a week in 1987, he murdered 14 members of his own family, a former co-worker, and a stranger. From the summer of 1979 through the spring of 1981, Atlanta, Georgia, was held under siege by a serial killer, and dozens of victims started to appear. The series of murders, which became known as the “Atlanta Child Murders case”, gripped the city of Atlanta with fear and shocked the nation because most of the victims were children. 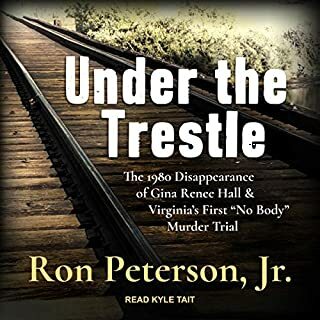 In this true-crime audiobook, you will hear about how the Atlanta Child Murders case put a city under siege and how a task force of law-enforcement officers from several different agencies eventually captured the killer. Vilhjálmur Stefánsson left New York in April 1908 to begin his journey northward and into the Arctic Circle. For the next two years, he made his way northward to Victoria Island to study an isolated group of Inuit who still used primitive tools and had strong Caucasian features and whom some believed were descended from Vikings. On October 22, 2001, handsome multimillionaire financier Ted Ammon was found bludgeoned to death in the magnificent East Hampton mansion he'd built with his beautiful - and volatile - wife, Generosa. She stood to make millions, but it wasn't the money that made Ted's friends suspicious: Generosa Ammon had a history of violent outbursts and bizarre obsessions. On the afternoon of April 26, 1913, thirteen-year-old Mary Phagan arrived at the National Pencil Factory in Atlanta, Georgia, where she worked, to pick up her paycheck. 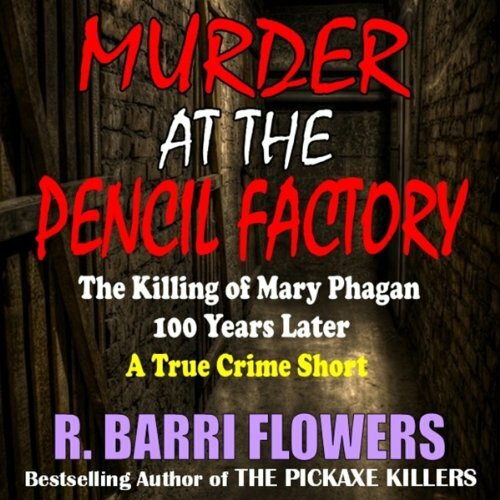 The next day, Mary’s bloody, battered, and bruised dead body was found in the basement of the pencil factory, the victim of foul play. The Jewish-American factory superintendent Leo Frank was arrested, tried, and convicted for the murder in a controversial trial. Frank himself became the victim of a lynch mob, when they broke him out of prison and hung him from a tree. But was Leo Frank truly guilty of Mary Phagan’s violent death? Or did the real killer get away with cold-blooded murder? 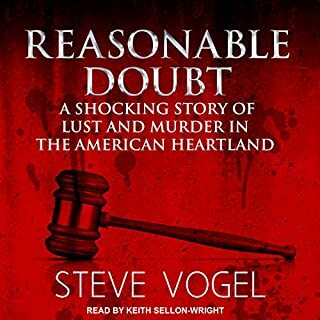 Listen to this compelling tale of child murder, anti-Semitism, racism, and legal twists and turns that rival any true crime case today and decide for yourself. Included is a complete and riveting bonus story from the best-selling true crime book, Serial Killer Couples, by R. Barri Flowers, in which ruthless killers Alvin and Judith Neelley abducted 13-year-old Lisa Millican from a mall in Rome, Georgia, and sexually violated, tortured, and murdered her. 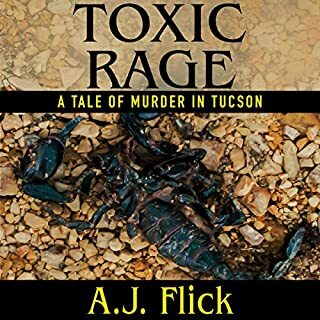 An added bonus is an excerpt from the author’s best-selling true crime short, The Pickaxe Killers: Karla Faye Tucker and Daniel Garrett, who brutally murdered two people in a death penalty crime that shocked the nation. Very quick and concise read. Only worth it if you want the basic facts of the case. Narrator wasn't the worst but definitely not the best that I've heard. What was most disappointing about R. Barri Flowers’s story? It did not catch me up in the moment. Was Murder at the Pencil Factory worth the listening time? It was a short listen so I suppose but I probably will not listen it it again. 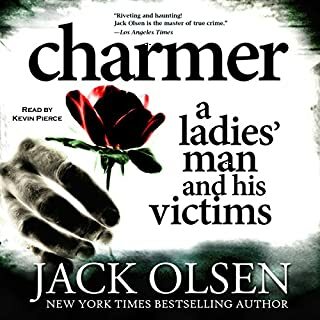 I received this audiobook as a gift from a special friend. As usual, I was not disappointed. Crime does not pay. Some people still have a conscious, even after 3 decades. I love the detail and research that Barri Flowers puts in each of his books. He is one of my favorite authors. I have heard him speak about some of his books on Podcasts, and it is always a joy to listen to him. I highly recommend this book to any True Crime reader, you will not be disappointed. My next listen will be "The Pickaxe Killers" from this great author. Bravo Mr Flowers, keep us wanting more.